They call her Gladice because she is old and graceful. Never mind her flaking paint and the 139,000 miles she has already traveled. She rides smooth and doesn’t break down. The Edmonds family, of Frederick, loves Gladice for who she is: a 1994 Buick Park Avenue and the newest member of their family. 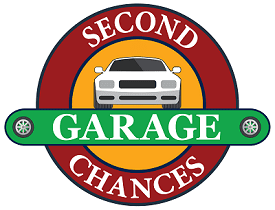 Edmonds is one of about 20 people this year who have received, or will receive, a used car from Second Chances Garage, a local nonprofit that aims to help those in need by selling them used vehicles at a low cost and providing discounted vehicle repairs. 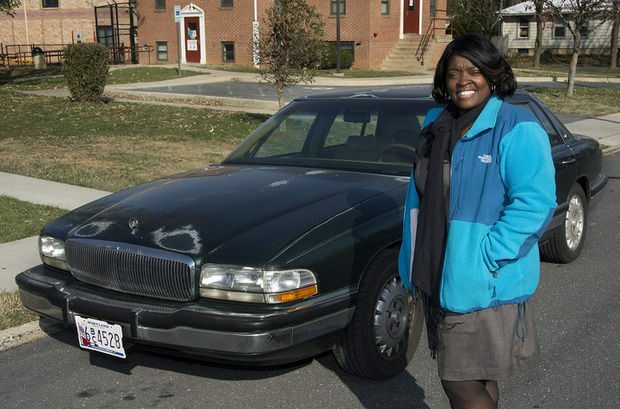 Edmonds, a single mother of three, calls the car a hand up, not a handout. “It’s given us freedom,” she said. The nonprofit solicits donations of old vehicles from the community, fixes them up, gets them a title and registered with the state, and sells them at a low cost to people who are served by one of its 18 partner organizations, said Rick Trawick, the nonprofit’s founder and executive director. The sale price is about $780 for a titled and tagged vehicle, Trawick said. It’s so important to have a car, especially in this area, Trawick said, but many people can’t afford to save up. “I wanted to be able to solve that problem,” he said. Before selling a car, the organization gets a client’s financial information and ensures they can afford maintenance and repairs, Trawick said. After selling the car, the organization provides free labor on any repairs for six months. The low-cost repairs program, a separate program for anyone who qualifies under certain income levels, provides labor and parts for about half the normal price. Edmonds discovered she qualified for the used car program after realizing that her family was a client of one of the qualifying nonprofits, Service Coordination Inc. Service Coordination helps Edmonds’ youngest daughter, who has special needs. The family had been without a vehicle for about three years, after an old car gave out. She and her daughter had to take public transit to the Kennedy Krieger Institute in Baltimore once or twice a week. Because of the transit schedule, they were stuck there all day, missing school and work. Her oldest daughter, who is 22, had to take transit to and from work, and was often stuck without a bus to ride home when working late. Edmonds also had to coordinate transportation to school and activities for her 18-year-old daughter and 11-year-old son. The car has given Edmonds and her family their independence back, she said. In the last year, more people have been donating vehicles to Second Chances. The increase in donations has given the nonprofit more funding to expand its programming, and if it gets a car it can’t use, it sells it. The organization’s budget grew from $150,000 in 2012 to $250,000 in 2014. With a bigger budget to work with, a few months ago, Trawick hired two mechanics and began operating full time. The shop now repairs more than 10 cars a week, compared with three or four a week last year. The nonprofit will sell 20 to 22 cars total this year, an increase of 20 percent from last year, Trawick said. Next year, Trawick hopes the nonprofit can sell 30 cars and continue to grow until it needs a bigger shop.